How to increase the speed and security of your web site. Fast web sites make your visitors happy, they make Google happy, and all that should make you happy. I'm pretty sure you'd rather hackers, scammers and other wrong-doers are kept at bay too. 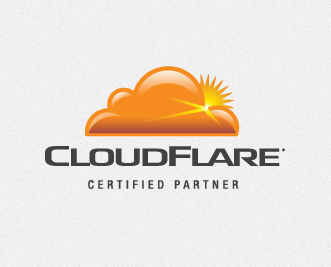 That's why we're really excited to announce our partnership with CloudFlare. If you haven’t heard about CloudFlare before, their proposition is simple: they aim to make your web site twice as fast and protect it from a broad range of web threats. Sound good? We think so. But what's even better is that you can now add CloudFlare to your Kualo web hosting account in a few clicks, and it won't cost you a penny. Enabling CloudFlare on your site will give you access to a next-generation Content Delivery Network, or CDN for short. So what's a CDN? It's a system that delivers content to your visitors, from a location that's closest to them. CloudFlare run 14 100 data centres strategically located around the world. When you enable CloudFlare on your web site, visitors are seamlessly routed to the data center that's located closest to them. CloudFlare’s intelligent caching system also means you save bandwidth and decreases the load it places on the server, which means your web site will run faster and more efficiently than ever. On average, CloudFlare enabled sites see a 60% decrease in bandwidth usage, and a 65% reduction in direct requests to the server. The overall effect is that CloudFlare will typically cut the load time for pages on your site by 50% which means higher engagement and happier visitors. In the extremely rare event that your web site goes offline due to a network or server issue, enabling CloudFlare will mean your web site stays online. Since CloudFlare is always caching your web site, if it's unable to get a live copy for any reason, it will serve up a cached copy of your site whilst any underlying server problem is resolved. This means your visitors will never see a web site down or unavailable message. 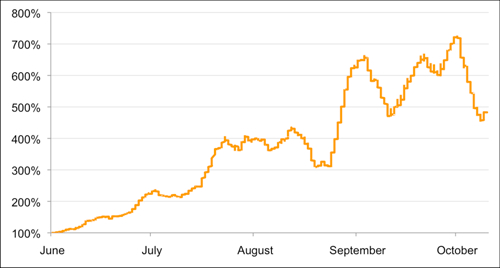 Over the course of 2011, CloudFlare identified a 700% increase in the number of distributed denial of service attacks (DDoS) they track on the Internet (see the chart below). As attacks like these increase, CloudFlare will help ensure your web site is protected against them. CloudFlare’s security protections offer a broad range of protections against attacks such as DDoS, hacking or spam submitted to a blog or comment form. What is powerful about their approach is that the system gets smarter the more sites that are part of the CloudFlare community. CloudFlare analyses the traffic patterns of hundreds of millions of visitors in real time and adapts the security systems to ensure good traffic gets through and bad traffic is stopped. In time, their goal is to essentially make attacks against websites a relic of history. And, given their scale and the billions of different attacks they are now defending against and adapting to every year, they’re well on their way to achieving that for the sites on the CloudFlare network. Check out this fantastic blog post which outlines how CloudFlare was in fact used by the LulzSec hacking group to protect their web site from attack from some of the most notorious hackers out there (which it did successfully), and how this seriously benefited the wider community. 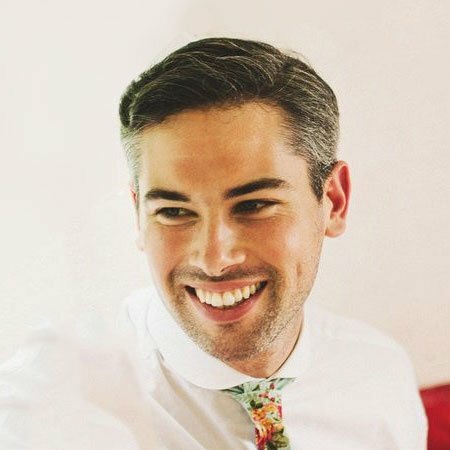 How can I activate CloudFlare on my web site? The process of setting up CloudFlare is "1 click easy" - simply log into your cPanel and look for the CloudFlare icon. Choose the domain you want to enable, and click the orange cloud. That's it! You will not have to pay a penny to enable basic protection. What's more, as we're an optimised CloudFlare partner, you'll also receive their Railgun technology free of charge - something which usually costs $200/mo! Discover Railgun in our separate Railgun blog post. Learn more in this 90 second introductory video! We hope you enjoy, let us know how you find it!